Preamble: The Ethos of FIRST® has a substantial impact on LASER. Coopertition® and Gracious Professionalism® are values that FIRST® and LASER uphold. As a five-time Chairman’s Award and eleven-time UL Safety Award winning team, LASER strives to live by the morals and principles that develop science and technology leaders of the future. LASER team members are expected to live by these Rules of Practice so the Ethos of FIRST® may live on. Acknowledge That the Team Has More to Learn. LASER members must recognize that the team is continuously learning. LASER members shall embrace the idea that where there is failure, there is an opportunity to learn. LASER members shall reflect on what they have learned through the FIRST® program. Act Towards Team Members as if They Are Family. LASER members must encourage communication and foster positive interactions between one another. LASER members must be gracious and courteous to their teammates. LASER members must not engage in drama. If conflict arises, speak to an officer. LASER members shall continue to take part in team bonding activities. Exemplify Gracious Professionalism® by Acting Towards Other Teams as if Your Own. LASER members shall reach out to other teams- both inside and outside of competition. LASER members must show kindness when interacting with other teams. LASER members shall socialize and build friendships with as many teams as possible. Ensure All Decisions are Rooted in the Ethos of FIRST®. LASER members must uphold the morals of Coopertition® and Gracious Professionalism®. 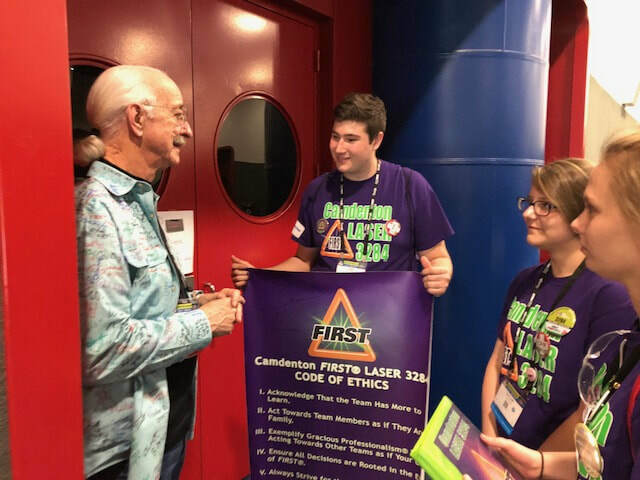 LASER members shall encourage the message and mission of FIRST®. Always Strive for the Benefit of Others. LASER team members shall always keep a positive attitude towards others. LASER members must be inclusive of all people. LASER members may direct every possible action to benefit others. Return Gratitude to the Community that Supports LASER. LASER members shall thank the LASER sponsors for everything they provide the team. LASER members shall use community outreach to positively impact the state and other teams, not just our own team. LASER members shall participate in fundraisers, outreach events, and actions that support our community. 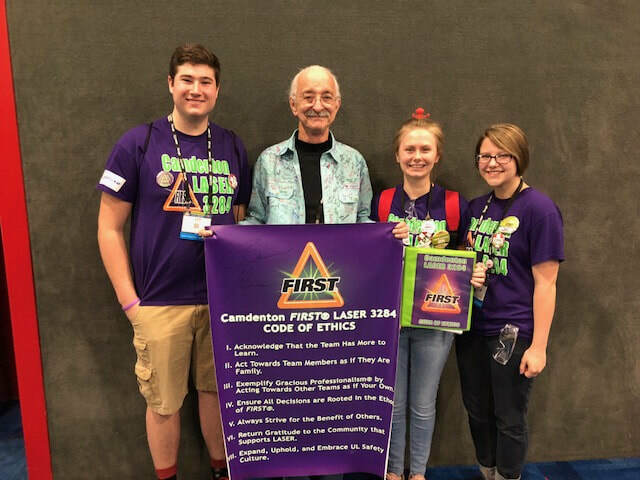 LASER members shall encourage outreach for the benefit of FIRST®, STEM education, and other, larger causes. Expand, Uphold, and Embrace UL Safety Culture. LASER members shall connect with other teams to share UL safety knowledge. LASER members must use the proper tool for the proper job. LASER members must follow and uphold the UL and LASER safety protocols, including practicing safe operating procedures when handling machinery.